Cone and coil incense can also be enjoyed with this style of holder. New from Shoyeido, already a best-seller. Shoyeido's handcrafted incense holders are made with great care by talented potters here in the U.S., offered in a variety of sizes and glazes. The artisans' skillful hand glazing ensures that every piece is a unique work of art. 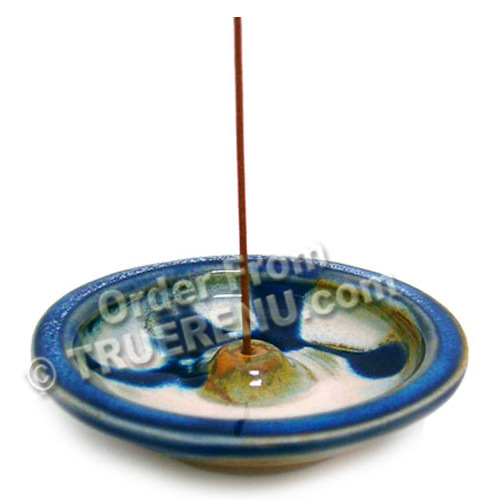 The popular 4" to 4-3/4" hand-thrown, ceramic incense holders can be considered our "basic" incense holder: a single hole for stick incense in the center of a broad, ash-catching surface. Cone and coil incense can also be enjoyed with this style of holder. We recommend the pure natural fragrance from Shoyeido! Product Size: Round. Due to variations from being handmade, size can vary from 4 inches to 4-3/4 inches in diameter. Komenuka Bijin's Premium Moisture Cream addresses the special needs of dry or mature skin, enhancing the skin's renewal process. Yeast stimulates skin cell's regeneration and actives the metabolism. Best to use as night cream.